The Great White North has been famous for wildlife before the country of Canada was born over 150 years ago. When tourism began to boom during the construction of the Canadian Pacific Railway, hunting was a popular pastime and beaver hats were trendy back in Europe, where the majority of the settlers came from. So after the devastation of the Hudson Bay area in eastern Canada, the epidemic moved further and further west. Although it took them a while, Parks Canada finally decided that hunting all creatures, at such an uncontrolled, unsustainable rate, wasn't really feasible. At one point during the peak of this hunting epidemic, 86% of all Canadian beavers had been killed. Thankfully, many species are now protected and hunting is heavily monitored as it should be! You're probably wondering what's left to see after a century of devastation. Well, thankfully quite a lot. 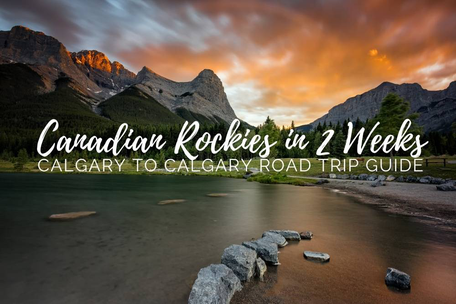 All of my road trip itineraries around the Canadian Rockies frequent many wildlife hotspots and hopefully they'll help you plan the trip of a lifetime. 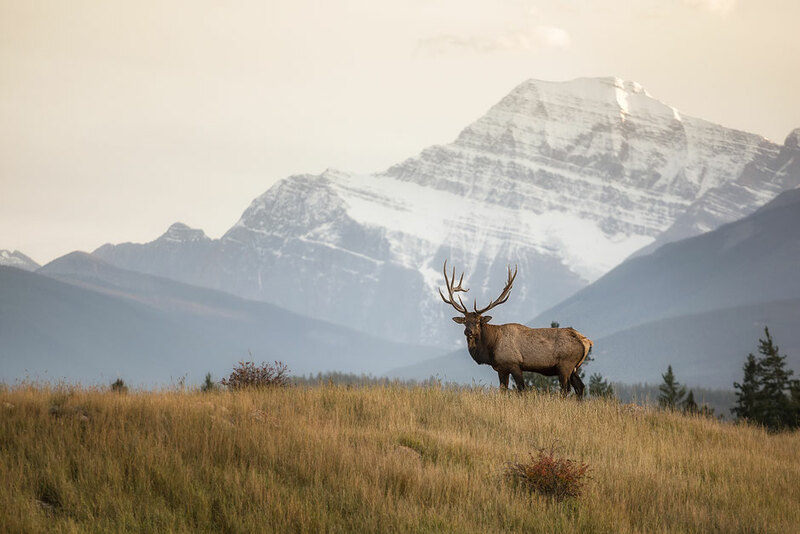 The Canadian Rockies cover a huge area of land but wildlife tends to always go to the same places at different times of the year so in some ways it's easy to predict roughly where certain animals are going to be. There's never a 100% chance to spot wildlife on a trip here but if you follow the tips in this article I reckon your odds will be pretty close. There are around 10x more Grizzlies in British Columbia compared with Alberta. I ran into my first grizzly when hiking in Mount Assiniboine Provincial Park. My second close encounter with a sow and two cubs (worst scenario possible) was on the Tonquin Valley trail. I have been followed by her for good 15 minutes, but luckily she wasn't showing any signs of aggression. The third time I spotted a grizzly on a hike was on the trail up to Smutwood Peak. I've got to admit viewing them from the safety of a car is much more enjoyable. In Alberta they can often be sighted around Lake Louise & the Bow Valley Parkway, from the Gondola in Lake Louise, in Kananaskis Country (Highway 40 & 742) and along Maligne Lake Road in Jasper. 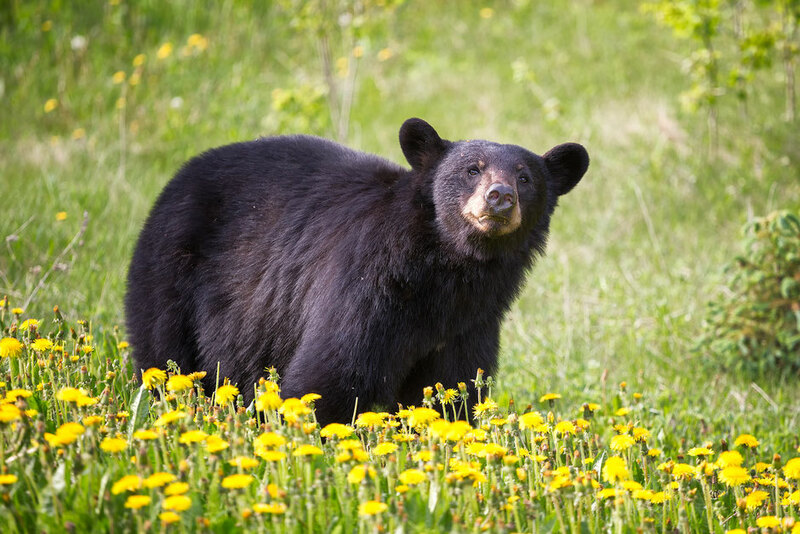 In June - July bears often graze on dandelions at the side of the road, before they transition to (buffalo) berries around August. Setting off early in the morning can be really advantageous. Due to less overnight traffic, they aren't scared away from the road by sheer volume of tourists or parks authorities.Their estimated numbers are as follows: 65 in Banff National Park, 109 in Jasper, 11-15 in Yoho National Park and 9-16 in Kootenay National Park. 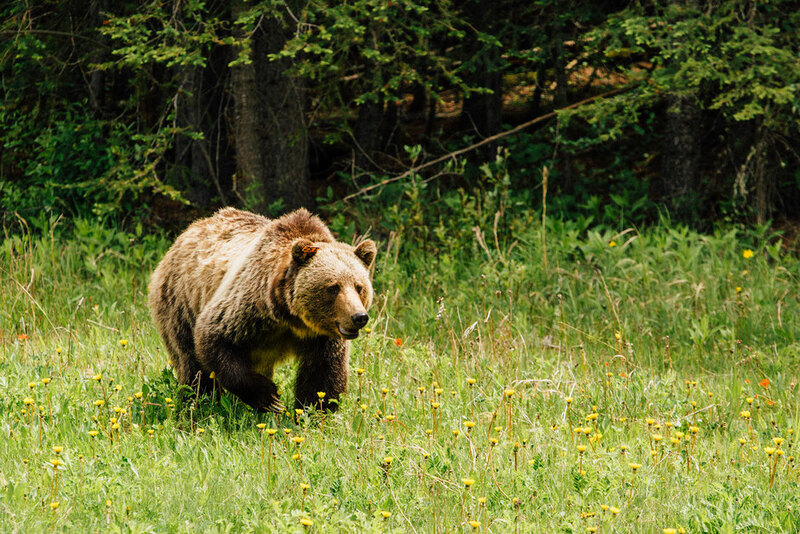 If you're not lucky enough to spot one in the wild, there's also a Grizzly Bear Sanctuary in Golden, BC. Black Bears are much more common than grizzlies. I have seen my first black bear on a road trip around Vancouver Island. If you go out driving early in the morning on the Olympic Drive in Whistler (not in the Rockies), Clearwater Road in Wells Gray Provincial Park, Pyramid Lake Road and Edith Cavell Road in Jasper, the Bow Valley Parkway or Highways 40 or 742 in Kananaskis you'll have a decent chance to spot one. As the name suggests, you'll find them in the mountains. Dotted all over the place, keep an eye for them whilst you're trekking. They love steep ledges away from predators. 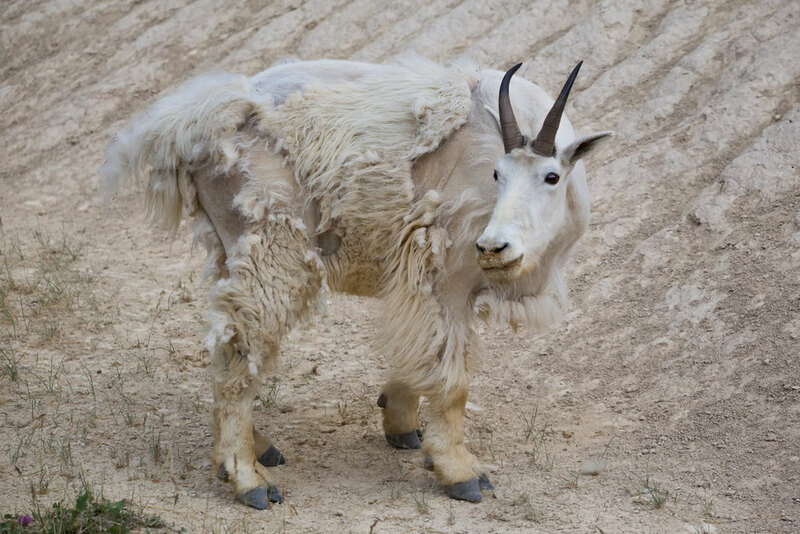 Commonly sighted whilst hiking many of the trails in Kananaskis Country (for example Sarrail Ridge and EEOR) and along the Icefields Parkway at an aptly named roadside pull off called "Goats and Glaciers". You can spot them along the rivers and swamps that run through the major towns in the Rockies. Commonly sighted along Police Creek in Canmore, one of the most photogenic spots in Kananaskis Country. Another one is Fenland Trail and Vermillion Lakes in Banff (one of those postcard worthy photo locations in Banff National Park). 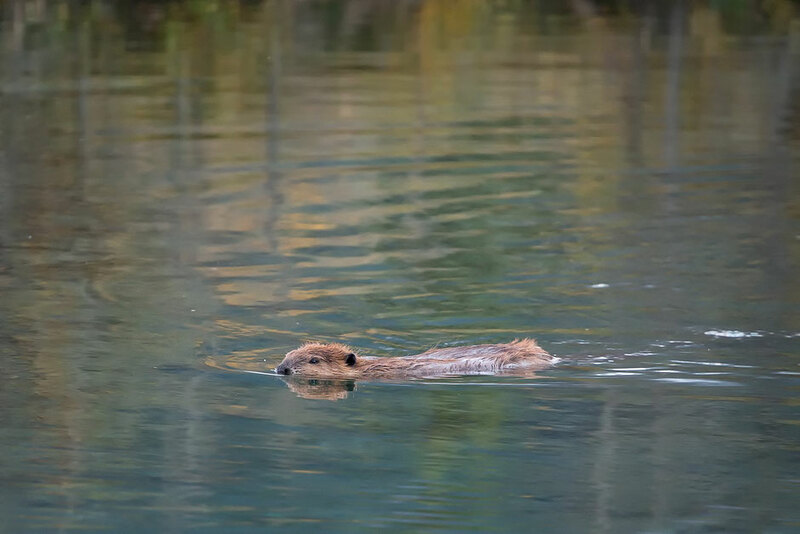 Beavers are nocturnal so it's widely accepted that the best time to view them is at sunset as they are emerging, or sunrise as they are just going to sleep. In winter, they are less active, spending most of their time in their lodges. Moose, known colloquially as swamp donkeys are incredibly docile and shy creatures. 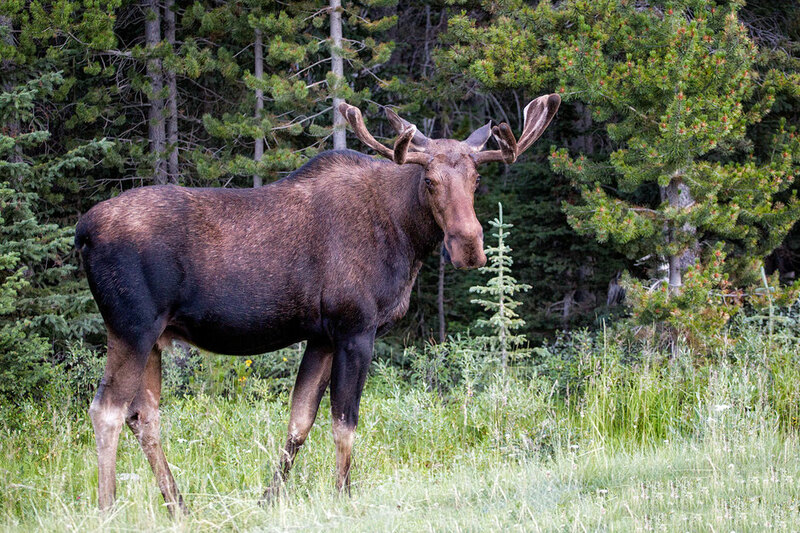 You can find them down the Spray Lakes Highway (742) near the Engadine Lodge in the aptly named Moose Meadows. In the winter they like to hang around by the road and lick the salt of the cars. Another spot is in Jasper along the Moose Lake Loop trail or in the marshes on the Tonquin Valley Trail. The earlier in the day you're there the better. 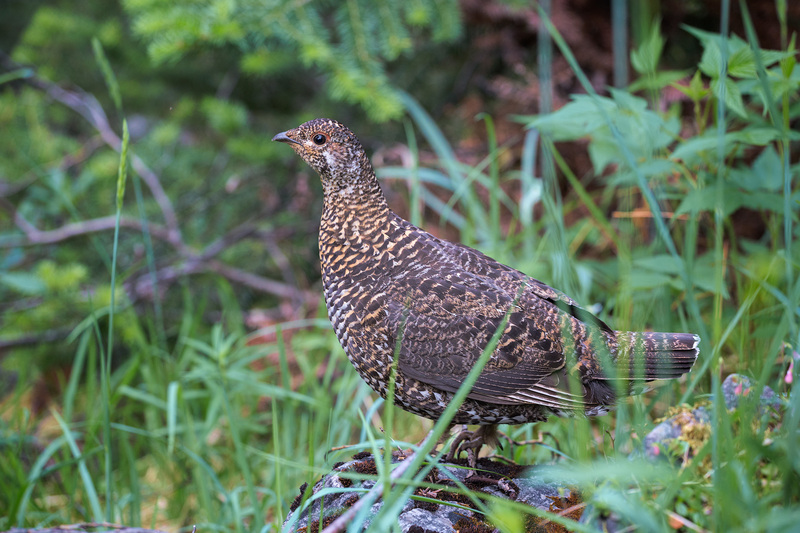 Not very elusive or difficult to find, they can often be seen in the meadows up Mount Lady MacDonald, on the Lake Minnewanka Road or on the road near White Man's Pond in between Ha Ling Peak and the East End of Rundle near the town of Canmore. If you're out and about on some of the day hikes in Kananaskis Country, chances are you'll bump into some. 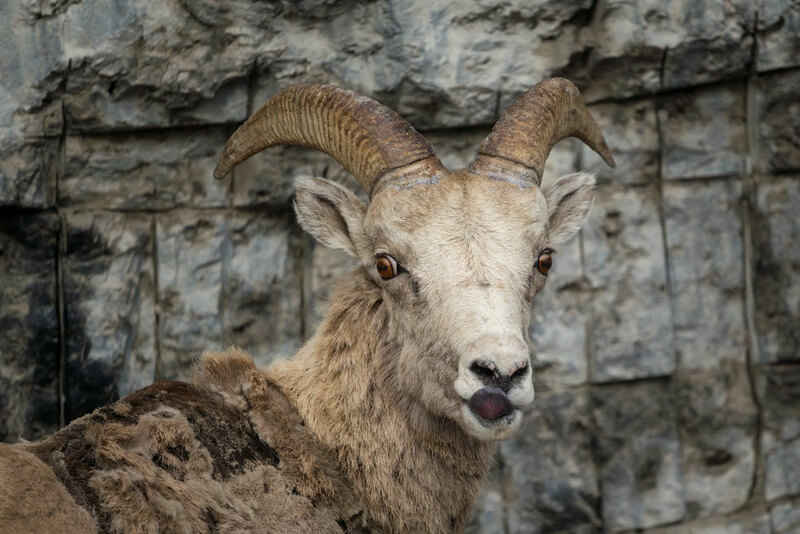 I have also seen plenty of bighorn sheep on the Wilcox Pass hike along the Icefields Parkway. 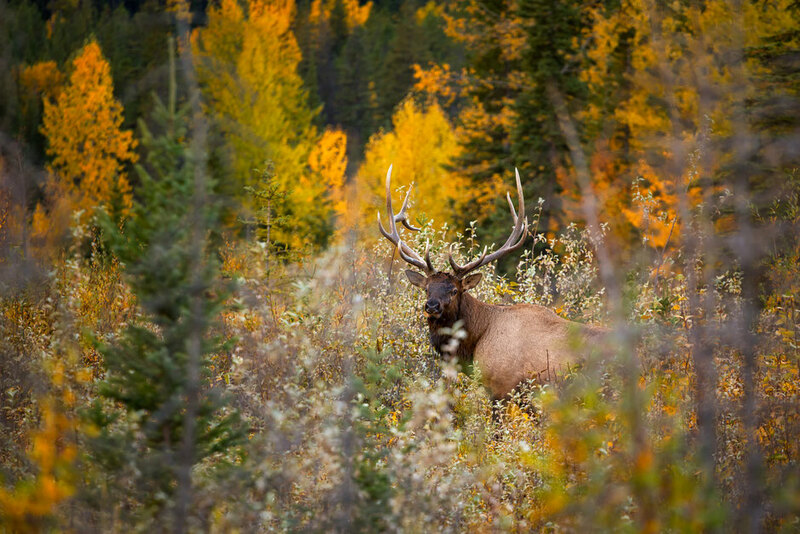 Elk can be spotted all over the place, especially during rutting season (September) in Jasper. During my first few weeks in Canada I remember hanging out in the park near the visitor centre in Jasper and the whole herd was just grazing on the grass right in the middle of the town. Canmore also has plenty of Elk and so does Banff (they like to hang out on the golf courses). Often males move their harem of females into the centre of town to protect them against the hungry wolves. In rutting season the bulls bugle and can be very aggressive. Keep your distance and forget about taking selfies! Elk are number one cause of wildlife incidents in the Rockies. Mainly due to ignorant tourists getting too close. They may look cute, but they are bolder than one may think. 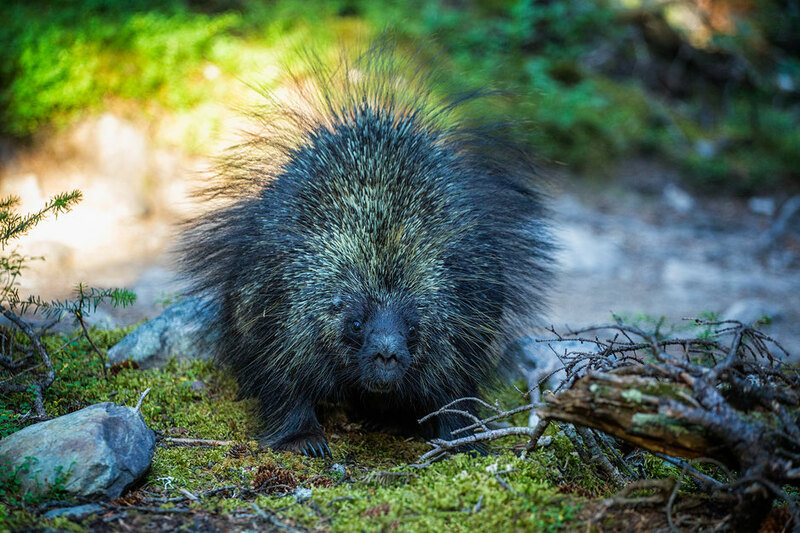 I've run into porcupines twice when hiking to Lake Agnes and Paradise Valley in Lake Louise and both times they weren't very keen on letting me through. Though pretty harmless to humans do not approach it if you bump into one, especially when hiking with your dog. They can shoot their quills when they feel in danger and I can imagine it isn't very pleasant. Marmots, chipmunks and ground squirrels are very common and easy to spot especially on the alpine hikes in Jasper National Park or trails near Canmore and Kananaskis. 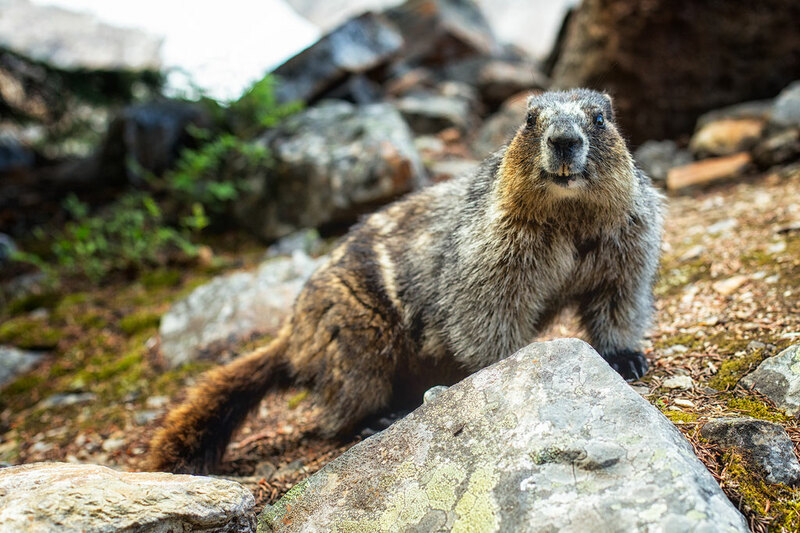 Marmots take shelter under rocks and can often be seen sunbathing on top of them. 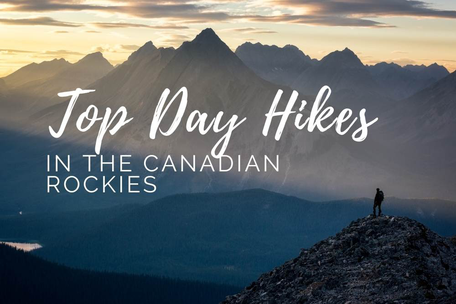 I have seen a lot of them when on the Bald Hills hike or Indian Ridge and the multiday Skyline Trail in Jasper. 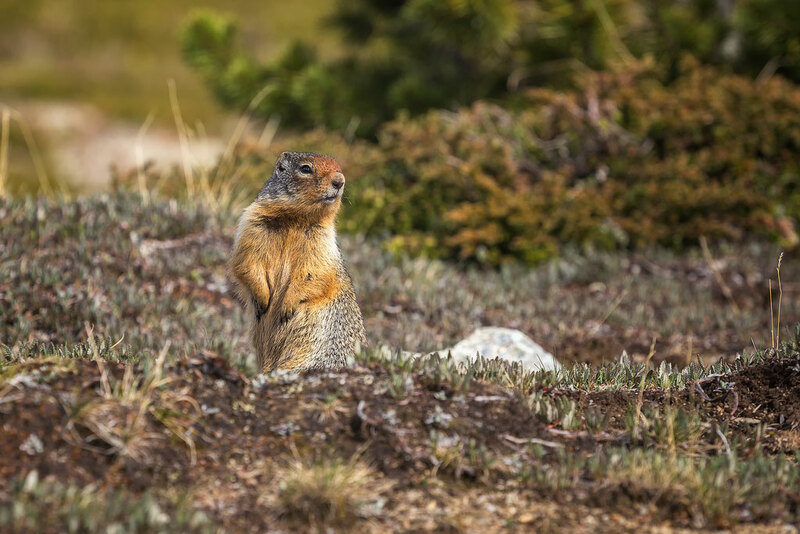 Ground squirrels can often be seen peeking out of their burrows right in the town of Canmore. 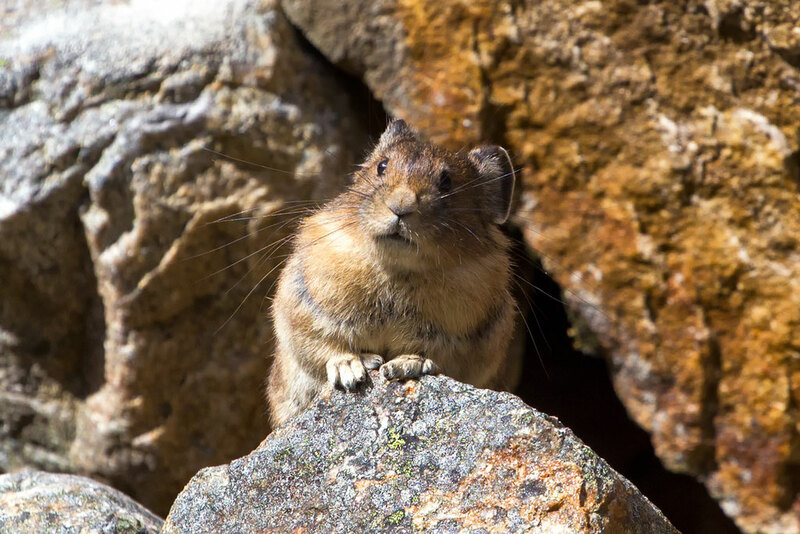 As for Pikas, the distinctive high pitch "EEEEEEEKK" of those cute rodents with elephant like ears can be often heard along rockfall areas. I've seen quite few of them along the Edith Cavell Meadows near Jasper. 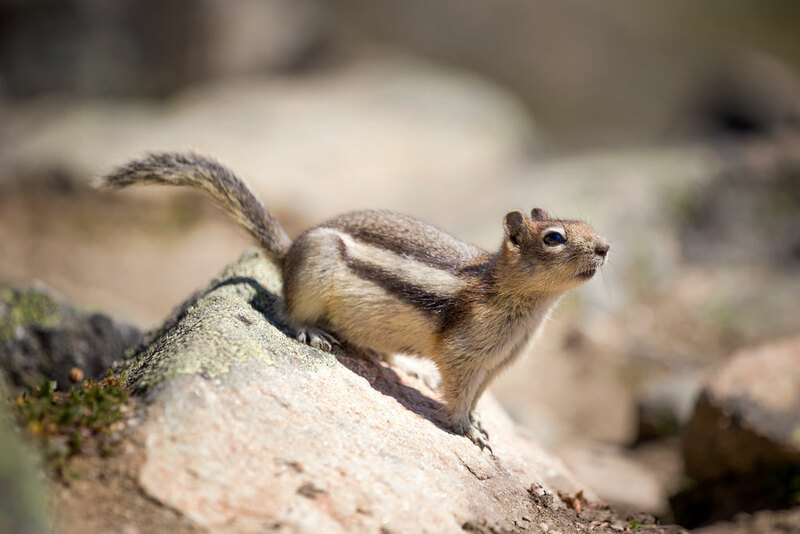 The most friendly of all - chipmunks often hung around tourist hotspots such as Moraine Lake and all the hikes in the Lake Louise area. Some of them are very bold and will steal your food when you are not watching! Remember to keep the wildlife wild! I'd sort of describe them as woodland chickens. 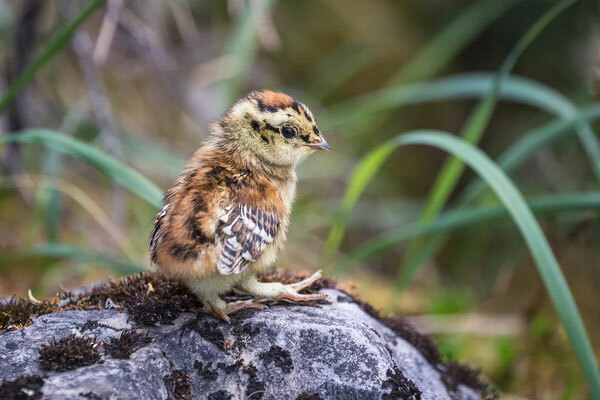 They can be seen on many trails all over Canada, frequenting many trails including Lake O'Hara, Tonquin Valley and the Berg Lake Trail. Grouse often act quite funny. Instead of running of the trail they will quite often walk ahead of you for quite some time. The males can be aggressive during mating season (late April through May), but due to their small size they are pretty harmless to humans. Wolves are very elusive, especially since the cull of 2015 in the Bow Valley (Banff and Canmore). There are some in Jasper but I know people who have lived there their entire lives without seeing one. However there is a little bit of a work around if you're willing to be flexible. 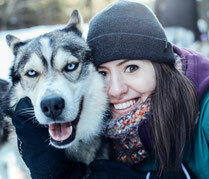 Yamnuska Wolfdog Sanctuary outside Canmore offers an incredible chance to see and to interact with Wolfdogs. 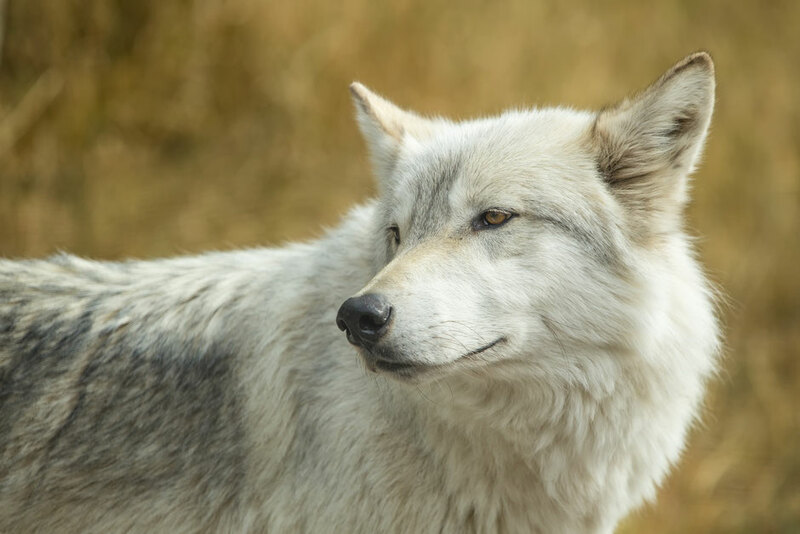 It's a non profit organization that pioneers in the field of rescuing and rehabilitating wolfdogs from all over North America. 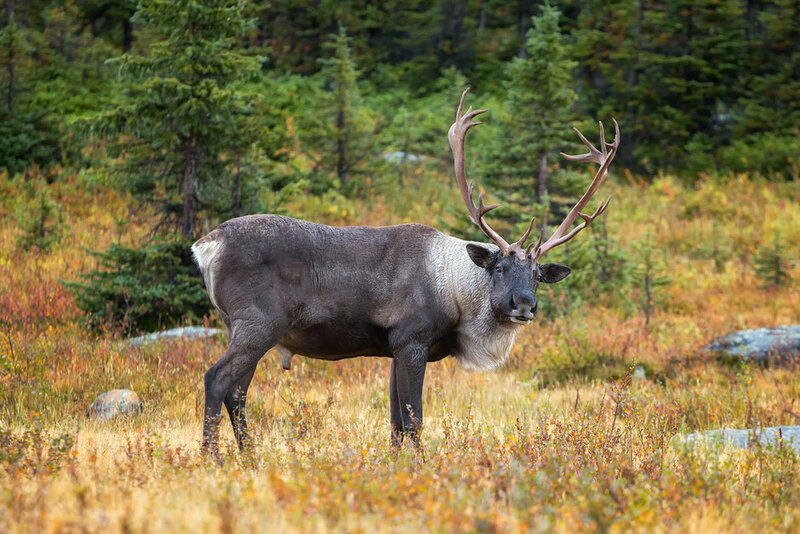 Only around 250 Woodland Caribou remain in the National Mountain Parks, 80 of which are in Jasper National Park. One of main herds can be spotted in September on the Tonquin Valley Trail or trails around the Maligne Range such as the Skyline Trail. This is the most endangered species on the list so if you happen to see one, keep your distance and let them be. I photographed the bull above with a long range zoom lens. 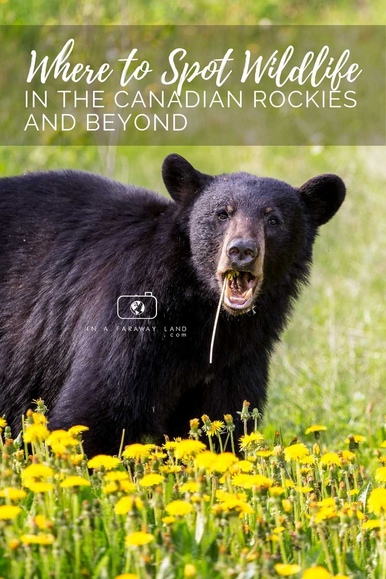 If you're planning on coming to the Canadian Rockies and want to visit many of the spots where you can find wildlife then consider looking into my road trip itineraries around western Canada. They spend as much time as possible submersed in nature where wildlife encounters are commonplace. Wildlife in the Canadian Rockies is tough and holds onto a state of constant fragility. It bares temperatures as low as minus 50°C and highs of positive 40°C, the animals here are adapted like few others on the face of this planet and need to be constantly respected. NEVER FEED OR APPROACH ANY WILDLIFE. Always keep your distance from large mammals (especially bears), carry bear spray whilst hiking and know how to use it. Fines for approaching and feeding wildlife can be up to 25,000$CAD!!! What's worse, many animals that become habitualized to human feeding are often destroyed. Do not be the reason that one of these majestic creatures has to be euthanized. Familiarize yourself with the Bear Safety Tips From Parks Canada. I turned 18. A few years ago, during one of my trips to Scotland, I bought my first DSLR and my adventure with photography began. When I am not stuck to my computer editing photos, you can find me hiking somewhere in the mountains.